Aramid fiber needle felt is made of aramid fiber. 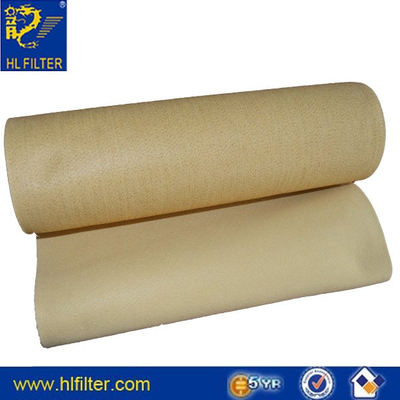 It is a kind of fiber with high temperature, high strength and high modulus fiber, which can be used in all kinds of dust collector within 200. It's good to glass fiber strength, price has more advantages than imported MetaMax fiber is much lower, but also has all the advantages of imported fiber, favored by the majority of users. Note The parameters above come from ideal lab-condition, the performance will change a little bit in-linewith actual application.